The Monroeville campus of Alabama Southern Community College can help you launch a career in variety of fields including healthcare and business, or it can prepare you to attend a four-year college or university. The Monroeville campus offers exceptional career training programs in both Nursing and Business Technology. For those looking to get into a career quickly, Alabama Southern Community College offers professional certificate programs. If you’re looking to prepare for college, then you’ll want to take advantage of one of the colleges accredited associate degree programs. If you’re still in high school, or looking to finish your high school diploma, you can take advantage of one of several online courses or classes designed specifically for high school students. One of the coolest things about the Monroeville campus is that has a very unique Center for Literary Arts. The center was founded in honor of Monroeville’s legacy of famous American writers. The center regularly sponsors readings and writer’s symposium. You can learn more about the college’s admissions policies and application process by visting the school’s website. When applying, students can also fill out a financial aid application. The school offers financial aid programs which are typically based on a student’s financial need. See the degree programs that are offered at Alabama Southern Community College. See the distance education degree programs that are offered at Alabama Southern Community College. See what it costs to enroll at Alabama Southern Community College and how many students are receiving scholarships, grants, or loans as financial aid to help cover the costs of tuition. 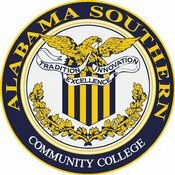 See the admission requirements for Alabama Southern Community College. Find out how many students apply and how many are accepted. View a graphical breakdown of the gender, age, and ethnicity of currently enrolled Alabama Southern Community College students.